1. 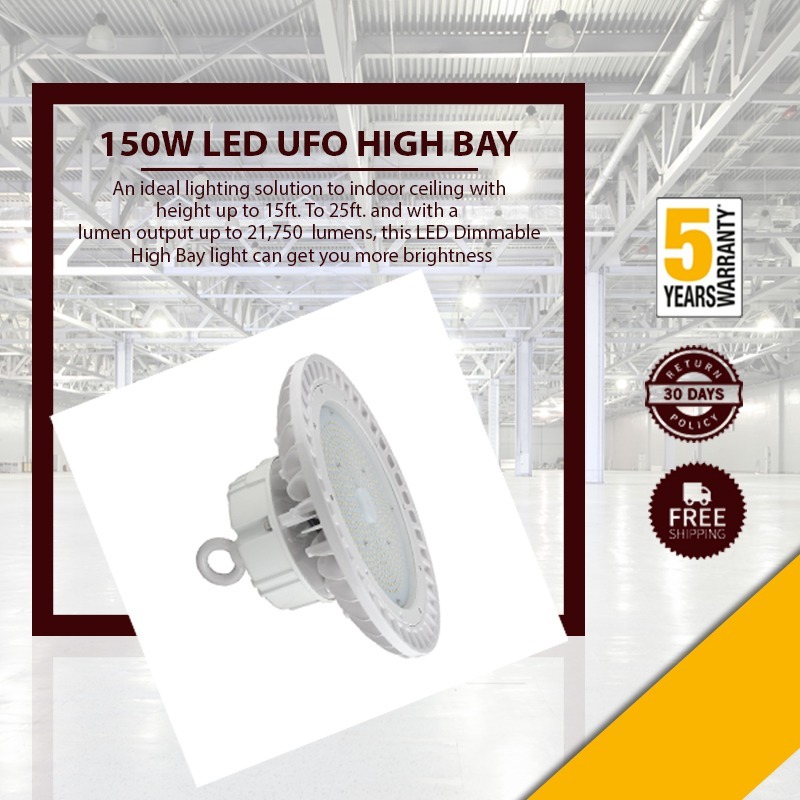 The lumen output of this 150w UFO LED High Bay Light is 21,750 lumens and you can replace them with 400W MH fixtures to make savings of at least 75% of energy per fixture. 2. The available Color Temperature of these lights is 5700K and it makes it an ideal color temperature for indoor space. 3. With a lifespan of 50,000 hours, you can expect these premium LED lights to support the indoor lighting system for more than 6 years. 4. You can easily mount it in many different ways which will reduce the installation time to just one fifth of what the traditional fixtures consume. 6. Also these lights are cULus, DLC and FCC approved that will give you additional rebates and incentives from the power companies as well. 7. The heat sink inside the UFO high bay lighting fixtures is made up of aluminium that will deliver excellent heat dissipation.